Campaigners working to save Poland's Bialowieza forest and national park find creative and innovative strategies in a tense, polarised and risky situation. Campaigners fighting to save Poland’s Bialowieza forest have faced rising nationalism and populist sentiment and a government that is ignoring normal channels for democratic dialogue and decision making. Campaigners elsewhere can learn from their creative but cautious example of strategic coalition building and carefully thought through messaging. 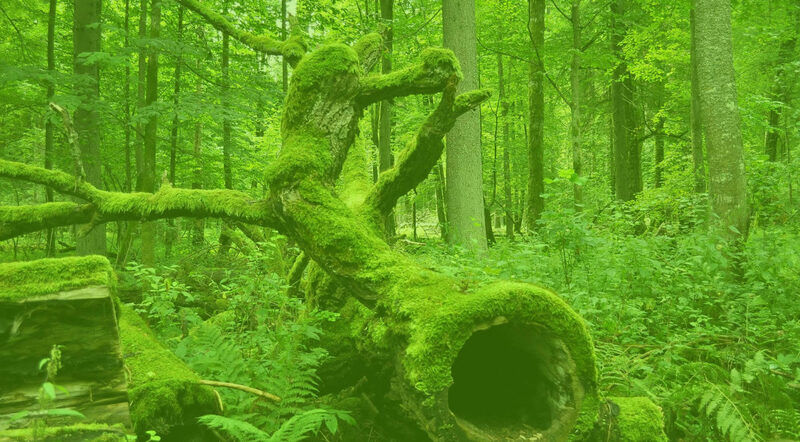 Poland’s Bialowieza forest is a UNESCO World Heritage Site and one of the last remaining parts of an ancient forest that once stretched across lowland Europe. Previous campaigns have sought to expand the area of forest fully protected by National Park status. In 2016, however, Poland’s environment minister, a member of the ruling conservative Law and Justice Party (PiS), tripled the quota of wood that could be logged from the Bialowieza forest. A campaign against the logging increase quickly mobilised. The government refused to listen to scientists or campaign spokespeople. Stonewalled by the government, logging opponents soon turned to international institutions for assistance. Campaigners won support from UNESCO. They then got the European Commission to put the case to the European Court of Justice, who imposed a temporary ban on logging activities. The campaigners have submitted evidence to show that the court order is being ignored. The next stage is a decision about whether the interim logging ban will be upheld and financial penalties imposed. Kasia Jagiełło’s keynote presentation at ECF Europe on building support for the forest. Photo by more onion. The Polish government is defying EU orders on this and other fronts. The question of whether they will comply goes beyond the forest campaign. Despite having to fight for media space and legitimacy in a country where the government is blocking them at every turn, the campaign has succeeded in attracting a broad range of local support, as well as widespread international support and attention from the European Court of Justice. 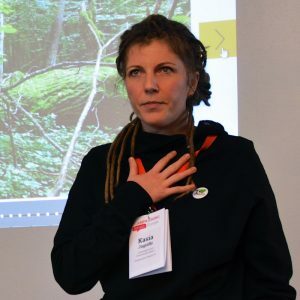 Kasia (Katarzyna) Jagiełło, a campaigner and biodiversity expert at Greenpeace Poland, spoke at ECF Europe about the Bialowieza campaign. She shared dilemmas they’ve faced and lessons learned. A few weeks ago, Moblab looked at the pros and cons of forming broad coalitions. The Bialowieza Forest campaign is an interesting example of looking for broad support, whilst forming a ‘strategic and selective’ coalition. 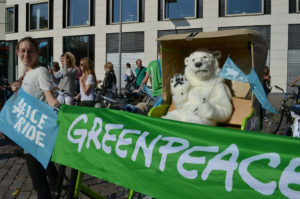 The campaign coalition was carefully chosen to be able to work together, and from NGO’s working closely on related issues such as Greenpeace and WWF. It was run under the ‘I love Bialowieza/Puszcza Forest’ logo rather than any NGO identities. Even when the campaign gained momentum, they decided not to broaden the coalition. This was partly because they didn’t want to introduce new problems to working in coalition, and also because they didn’t want to identify the campaign with wider social issues which could politicise it–the aim was always to keep as many conservative supporters on board as possible. 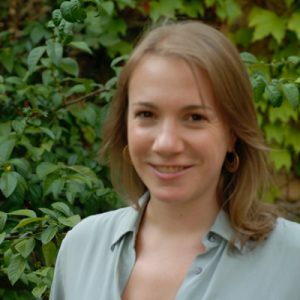 Kasia emphasised the importance of having a clear and well thought through strategy, and using that to work out priorities at each stage especially when flooded with offers of help, as they sometimes were. But working with others requires time and resources which may be limited. It can also influence how your campaign is perceived. One example of this dilemma came up when Greenpeace campaigners, including Kasia, set up a peaceful direct action camp together with grassroots activists, blockading the logging machines and drawing international media attention to the forest. There were long discussions about whether or not to work with grassroots activist groups who didn’t have Greenpeace level safety procedures and had different ways of organising. Kasia talked about the tensions being difficult to navigate at times, and said they still needed to assess and learn from the experience. However Greenpeace training and support helped the activists – and the activists at the camp helped the campaign. The decision to ‘move to the trees’ was a strategic one at a point in the campaign when widespread international attention felt critical, and the action worked. The campaign has now been covered now in a variety of global media outlets such as Reuters, the New York Times and Al Jazeera. The price of international escalation (and attention) was violence in the forest. Climber’s ropes were cut down. High level members of State Forestry branded campaigners as ‘eco-terrorists’ and worse. As a result, the campaign lost support from the Poland’s conservative press. It’s important, Kasia explains, that they only took this step at the point that all soft approaches had been tried and when it was the necessary strategic next step. A coalition campaign sign intended to share and create support for the forest – not promote any organisation. Campaigners took care not to be ‘anti-government.’ In particular, they didn’t want to be seen to be attacking the ruling Law and Justice party (PiS) who have an outright majority in parliament and whose popularity is growing. Instead they focused on the environment minister, Jan Szyszkowasm, who had tripled the quota of wood that could be logged and who has been accused of being too close to the forester and hunting lobbies. The message was that a corrupt minister was failing in his duties. All involved also tried hard not to associate the campaign with any single opposition party. This remains a challenge. Early on, an action organised by the Green Party of Poland politicised the issue sooner than they’d wanted. Later on, the main opposition party was keen to setup joint conferences and tweet selfies together. However tempting the extra support might be, they wanted to keep the conservatives who cared about protecting the forest on board and not push people into their political ‘fortresses’. For much of the campaign these approaches worked and helped generate supportive articles in the conservative press. Using the weight of international authorities has meant treading a careful line. There is already a deep mistrust of the EU in Poland. Campaigners didn’t want to strengthen nationalist sentiment. Kasia told us how she hijacked the language of the nationalists by saying ‘I’m a patriot, I want to preserve Poland’s heritage.’ They focused on the legal story and kept the campaign rooted in Poland and Polish heritage. There were long discussions about how to use or not use the message that Bialoweiza forest is also a part of world heritage. In the end, their message focused on being proud that Poland has so much of this precious forest which needs to be preserved for Poland and the world. Similarly, when state forestry allowed commercial hunting of bison–a decision popular amongst hunters–the campaigners made the issue one of national pride. Bialowieza Forest has the largest bison community in the world, and it was in this part of Poland that bison were reintroduced to the wild. Therefore, they should be loved and protected, not hunted. Their goal of increasing the area of the forest which is National Park focuses on the benefits of eco-tourism for the local community, and builds on pre-existing plans by a former environment minister–it is meant to be a plan for Poland to be proud of. Despite deeply rooted divides amongst people who work with the forest such as hunters and foresters, they have managed to get amazing local community involvement and support. Follow #Bialowieza for campaign news and visit the campaign website. Finally, while not directly related to the campaign, you may enjoy a video profiling the wild bison of the Bialowieza. Top Photo: Bialowieza National Park in Poland by Jacek Karczmarz. CC BY-SA 3.0 via Wikimedia Commons.